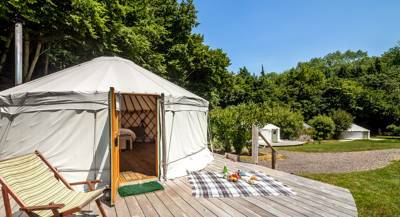 Idyllic setting aside, the facilities at The Yurt Retreat are anything but basic. Spend easy days relaxing by your very own 20 foot yurt, set on a high quality redwood platform. 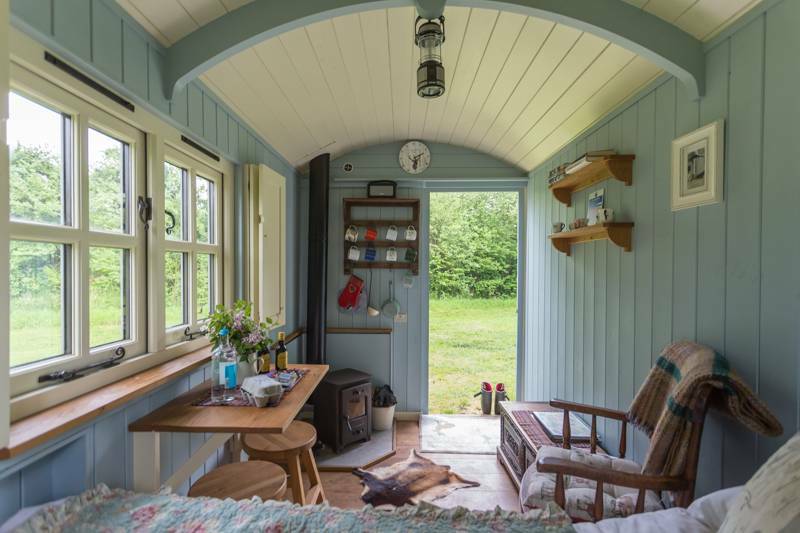 Each yurt has been individually styled (there are 4 onsite) with shabby chic and handmade furniture, comfortable double bed, sofa bed, electricity, tea and coffee making facilities, and private decking with your very own wood burner. 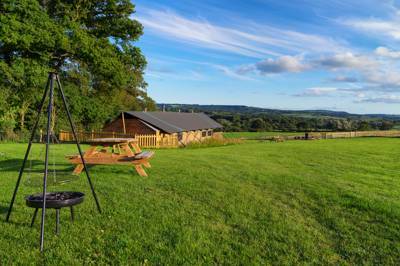 Guests also have the added extra of using the large communal firepit, perfect for marshmallow toasting and star gazing on a clear Somerset evening. The Yurts are tucked around the edge of woodland with the communal building 'The Lodge' at the heart. The Lodge contains a beautiful country kitchen, with a large table big enough for everyone to fit around. There is a lounge in the roof of the building where you can sit to read or watch a film on our comfy sofas. 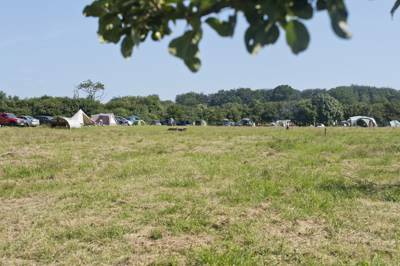 The Yurt Retreat’s selling points continue with its excellent location, being right on the Devon/Somerset border. One thing’s for sure, there’s no shortage of activities. The cute coastal town of Lyme Regis (nicknamed The Pearl of Dorset) is only a 30 minute drive away. The old town (dating back to the 14th century) is a great place to explore its independent boutiques, art galleries, cafes, second-hand bookshops, and gorgeous public gardens which have all been built around the lovely River Lym. The Yurt Retreat is a place to really lose yourself. 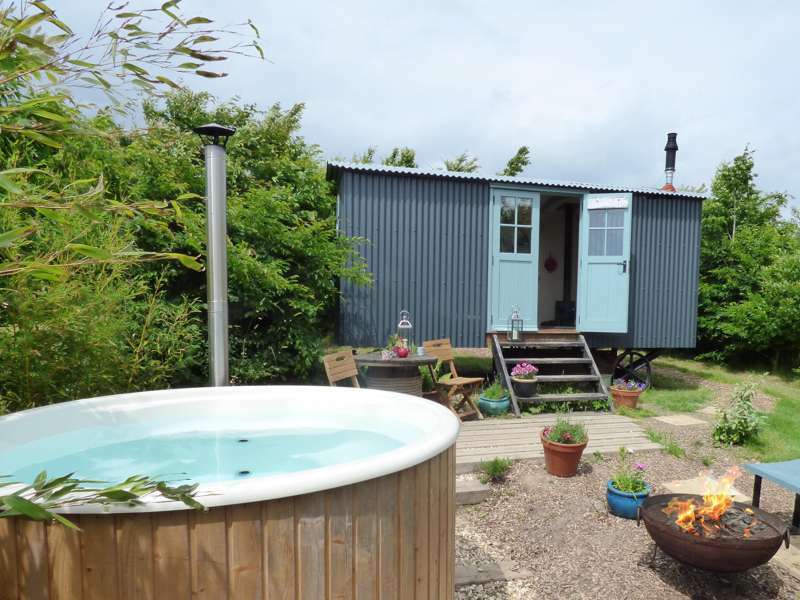 Whether you decide to amble leisurely across the Somerset countryside, discover the unique and utterly sublime Jurassic Coast, or simply to sit under the stars and warm your hands by a toasty campfire, this glamping site has you covered. There certainly is a slower pace of life at The Yurt Retreat, and Cool Camping thinks you’ll love it. Set in a truly idyllic spot, we have worked tirelessly over the past 7 years to create a unique holiday experience to the high standard we look for ourselves when we travel. 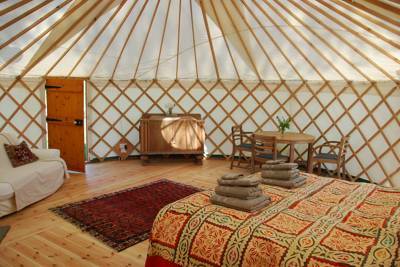 The Yurts are beautifully styled and every one comes with its own private bathroom. We think you will be particularly delighted with the Lodge which offers fantastic facilities and a wonderful space if the British weather doesn't put on its best show. The garden and the countryside views are really what it all about. To be able to sit around the fire toasting marshmallows under the blanket of stars or to lie in bed listening to the incredible dawn chorus is a magical experience and to sit on your own decking with a glass of wine watching a buzzard over head or a deer in the field is just a bonus! The Birdhouse, our Treehouse was a real labour of love and sits in the woodland just behind the Yurt site. Beautifully designed, its a complete house with great kitchen and bathroom and the uninterrupted views of nothing but the woodland whilst lying in your bed is just incredible. It gets very booked but its so worth the experience if you can find a free date. 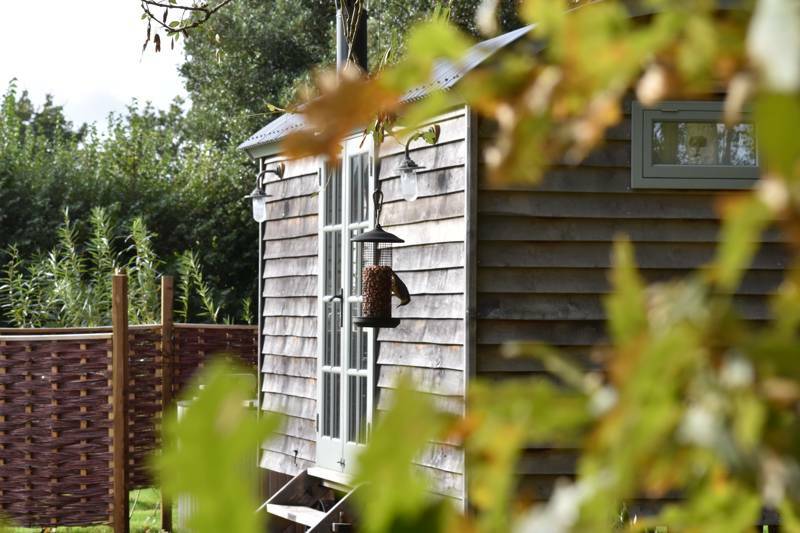 4 stylish Yurts with private bathrooms and a large Farmhouse style communal kitchen and snug in the central 'Lodge'. One designer Treehouse ( The Birdhouse) tucked into the woodland just behind the Yurts. 4 yurts (Cedar, Hazel, Larch, and Willow!) each sleeping up to four people in two double beds. 4 private bathrooms (directly behind each yurt) fitted to a high standard. Each yurt has tea & coffee making facilities, electricity, lights, vintage furniture, deck chairs, log burner (first basket of logs free), and its very own BBQ. Access to the ‘lodge’ with fully equipped country style kitchen, large dining table, and DVD lounge with sofas. Communal fire-pit, large outdoor table, and family size BBQ for group meals. The traditional English village of Hinton St George is a one mile stroll north of The Yurt Retreat. Charming hamstone cottages (some thatched) dot the village, which also contains a busy local shop, open gardens, the excellent Lord Poulett Arms (see below), and the Grade I listed Church of St George. If you do like to be beside the seaside, the glorious sweep of the Jurassic Coast (England’s first natural World Heritage Site) provides some scenic eye-candy and is the perfect setting for all types of seaside fun. 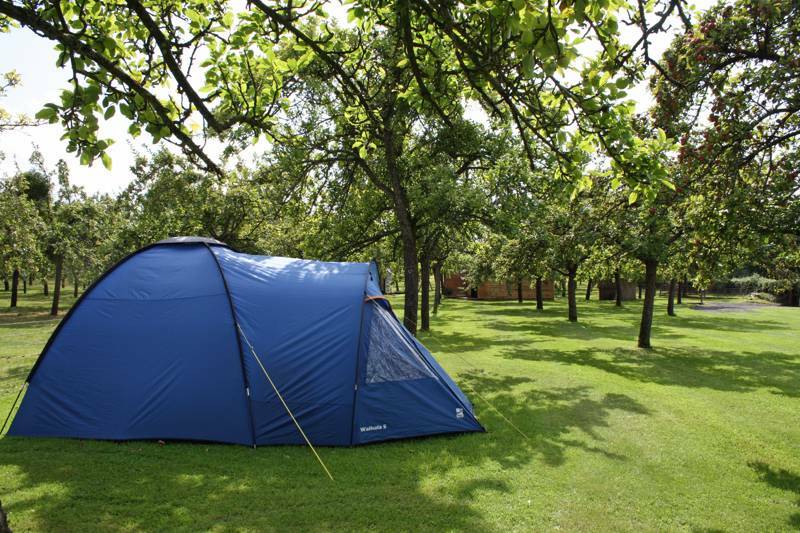 Whether you’re a hiker, sailor, paddler, amateur angler, or just like to chill-out in the sun, this place has something for all glampers. The Town Mill Brewery (01297 443579) is a fabulous little micro-brewery in the oldest, most picturesque part of Lyme Regis. Brewing takes place every Tuesday and Thursday when you can watch the centuries-old process, then sit out in the courtyard and taste one (or all) of the eleven English ales. The picturesque Lord Poulett Arms (01460 73149), one of the West Countries most celebrated traditional pubs is only a short (ish) walk away. Prices are not cheap but the food is top notch. Favourites include the Confit pork belly, pea, and marjoram risotto, and of course the epic Sunday lunch, served with all the trimmings. We suggest you book early as the dining room is usually full (especially on weekends.) Lunch at the intimate and friendly Lucy's Tearoom (01460 30234) is a delightful experience, and well worth the ten minute drive. A must for all cream-tea and scone connoisseurs, the lovely lady owner is always happy to help and makes the most divine cakes. The Hive Beach Cafe (01308 897070) in Burton Bradstock is a great, family-friendly restaurant with stunning beach views. The menu is largely seafood and the quality and range on offer is excellent. Need to stock up for your BBQ? Only two miles away in Crewkerne, you can stock up on burgers & sausages at either Waitrose, Co-op, or Lidl. End of March to the beginning of October for the Yurts and the Birdhouse is open all year. Prices start from £100 (for a low-season midweek night) to £160 (for a high-season weekend night.) Prices are per yurt, sleeping up to four people. A 15% low occupancy discount is applied if only two people share. Reduced weekly & weekend rates are also available, see website for details. From the A30 take the turning towards Hinton St George. Then, drive slowly down the hill and take the next right-hand turn signposted Fords Croft Farm. Just before the bridge, turn left following the track along the woodland. From the A303 take the exit for Crewkerne, then join the A30 towards Chard and follow the above directions. This is a working farm so take care when driving into the farmyard! Take the direct train to Crewkerne from Waterloo or Exeter.